London houses an eclectic array of architectural styles and forms. Its rich and eventful history has formed the basis of London’s diverse social and cultural fabric, which is reflected in the architectural patterns and designs. The architecture of London has developed in an ad hoc fashion creating a sort of mishmash of building styles, materials and shapes. Many of these styles are reflections of monarchic periods and demonstrate the fashions, technological trends, and social organisation of the era. Whether strolling down Notting Hill’s Portobello road or sipping coffee in London’s financial district, there are clearly distinctive themes that run throughout all areas of London. People speak of Victorian styles or perhaps Georgian terraces. But which style belongs to which Monarch? What are the distinguishing features of these buildings and how do they fit into London’s long-running history? 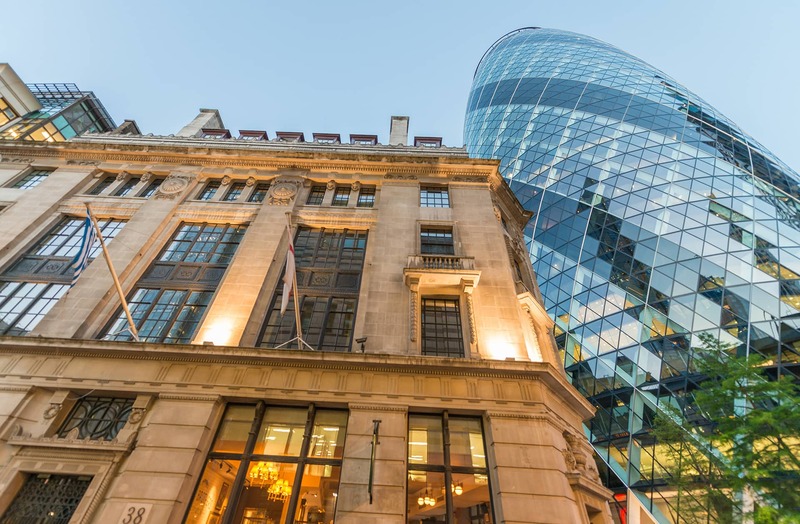 This article looks at three predominant architectural themes in London providing a brief explanation of key features and historical backgrounds. As an architectural style, ‘Georgian’ refers to the period 1780-1820. It is almost predominantly influenced by classic architectural styles of the Greek and Roman era. Georgian architecture is common in North and West parts of London. It is associated with simple, flat fronted terraces with large linear styled windows and a coloured arched front door. The common material used is red or brown brick with iron fences fronting the property and wood panelling for the windows. Georgian accommodation is generally organised in long terrace format. The 18th century was a time of great urban growth and the density of settlements in towns meant that there was a need to pack a lot of houses into a small space. Examples of Georgian architecture can be found in all areas of London. 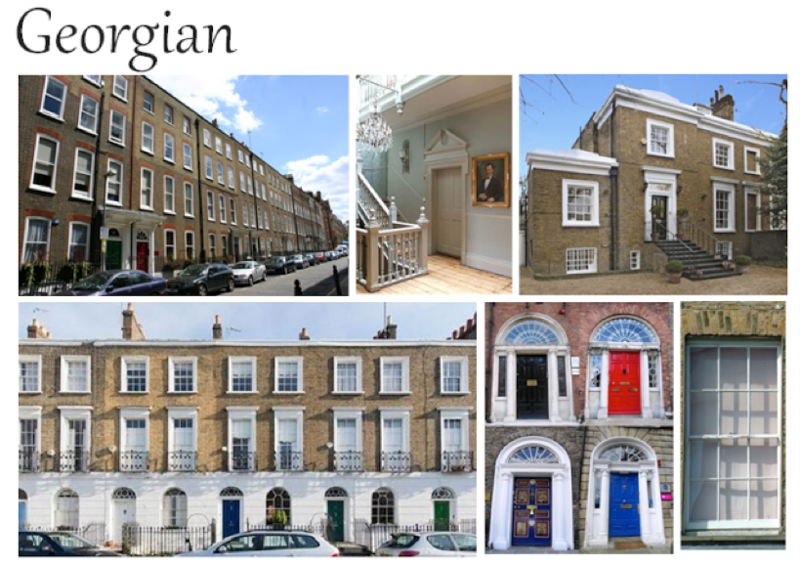 Specific examples where Georgian styles are prevalent include Canonbury and the university district of Russell Square. 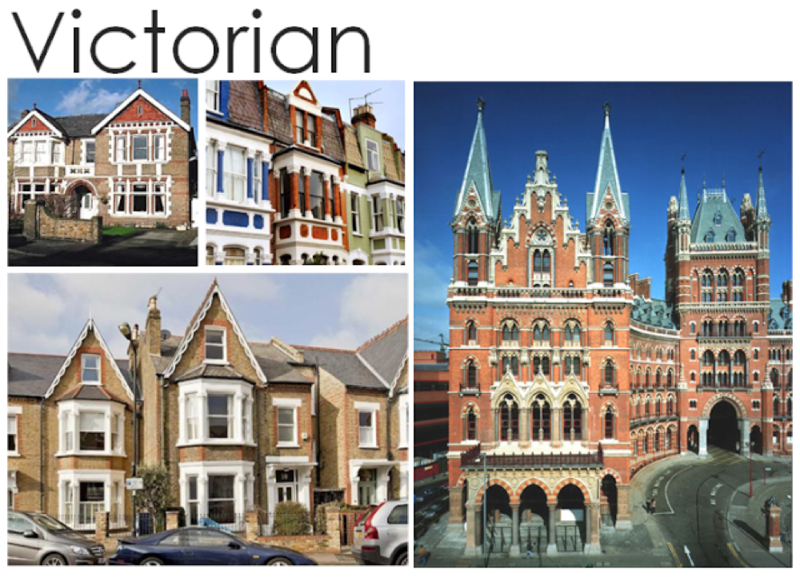 Victorian architecture was a prominent style during the middle and late 19th century and the name Victorian originates from the first Queen Victoria who reigned from 1837 to 1901. The main influences included Italianate or Renaissance and Queen Anne or Medieval. Key features were more elaborate and technical than its Georgian predecessors and adopted more eclectic mixes of Middle Eastern and Asian styles. Typical characteristics of Victorian houses include bay windows (that jut out), iron railings, patterns in the brickwork made from coloured bricks and roofs made of slate. The Victorians invented a method to make large panes of glass, called sheet glass. Due to this innovation, true Victorian windows had six and later four paned vertical sliding sash windows with a single glazing bar down the middle. Edwardian architecture refers to the architectural style prevalent during the early twentieth century (1900-1912) and is associated with a revival of Baroque influences. It is characterised by a simple design with the use of lighter, less conspicuous colours. 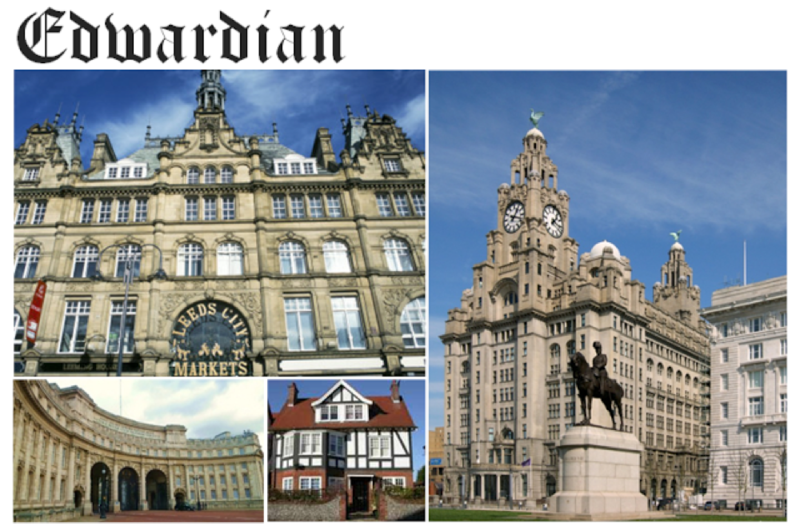 There is a tendency to confuse Edwardian buildings with earlier Victorian designs. However, certain key distinctions exist. Edwardian architecture is generally less ornate and decorative than previous Victorian styles. In addition, a common trait of Edwardian buildings is incorporated thick rows of white stone with sculpted lines running horizontally along the exterior walls. Edwardian buildings draw greater influence from European styles, especially French; many Parisian buildings use similar large blocks of white stone with horizontal cut-outs. Today, fine examples of these homes can be most often found in areas like Dulwich, Southeast London or in the “garden suburbs”. HFS London is a British Council registered Homestay accommodation agency based in London, UK.Â We have a portfolio of accommodation across London, zones 1 to 4 available for short or long term booking. Our homestays come in an array of shapes, sizes and period styles as do our homestay hosts! If you are looking for an a long or short term place to stay in London and wish to find out more about homestay, please do get in touch. Host Foreign Students or Take in a Lodger?